Thats not good how do i figure where its coming from??? Look for wet spots. The tank is between the trunk and back seat. There are 4 screws, one in each corner, that hold the cover panel over the tank from the trunk. o my bad its a 82 240D! Me too. Same car 82 240D. No wet spots anywhere. It has smelled like diesel since I bought it in 1994. I think it may be coming from the filler tube, which is just clamped onto the tank. There's always something more important to fix than smells in the trunk...and I don't spend a lot of time in there anyway. My 300SD and 300D both have an overflow drain in the fuel door area. On the SD, the drain tube has pulled away from the drain, so anything that goes in the drain, ends up in my trunk. It drips on the wheelwell, so you have to look down the side of the trunk to see it. 1998 W202 C230 - The money pit of late. Last edited by Fuzzball; 07-02-2008 at 02:56 AM. On mine it was the fill neck gourmet. 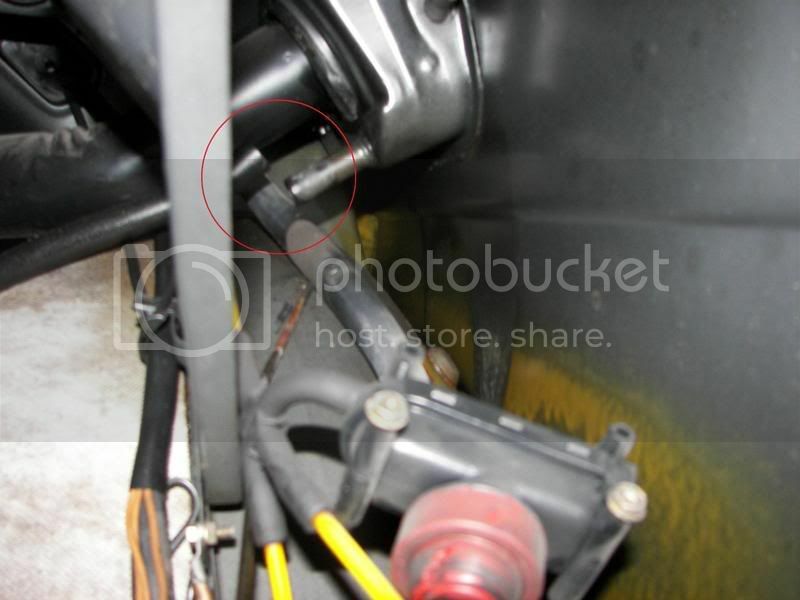 could i plug that hole to stop fuel from leaking in the trunk? The return lines that bring back the unused diesel ,there is were I would look ,youll have to pull the tank out ,its on top of it.Those lines never get changed .See if the concentration of the smell is more apparent right after shut down ,that would be it if so.It has a large square grommet that protects the lines from rubbing any surfaces out side the tank ,that grommet also collects a bit of diesel if those lines are leaking. I had one heck of a diesel smell in my trunk. Stemmed from mounting an audio amp to the trunk divider, not accounting for just how close the fuel tank was. I didn't feel too bad though, after removing the divider I found a hole someone else put on the other side for a 1980s car phone control box and since plugged up with a now rusty screw. Pull the "firewall" sort-of panel out and look for old tank repairs due to that brand of stupidity. I repaired my hole with a stainless phillips screw coated in PC7 epoxy. No leak! look at this one guy says that to stop it you have to replace the tank with a metal one.. How does that work?